Expand search to view more listings in and around Rolling Hills. See more offices in and around Rolling Hills. We have 1 Rolling Hills executive office available now for immediate occupation, with convenient rental lease terms. Many of our offices offer simple, short term and flexible rental agreements, so that you can gain the benefits of an extensive range of facilities and a prestigious business address in Rolling Hills, with a contract that is tailored to suit your needs. 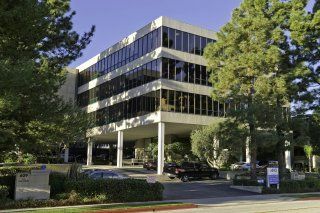 Offices.net is here to provide an extensive range of competitively priced, prestigious, fully-equipped office space in Rolling Hills, California, on flexible rental terms to suit your individual business' requirements. You will be spoilt for choice when it comes to impressive business amenities and professional support services in Rolling Hills. Our aim is to ensure that the entire process is as simple as possible for the companies we assist. An extensive selection of the business centers are inclusive of a range of services which include office administration, reception and on site IT support staff, high speed internet and WiFi services, lounge and meeting room amenities. In addition, a number of the office buildings provide free car parking, day and night access, dining facilities and break out areas. Click on one of the offices for rent shown on this page. The Rolling Hills executive office suites and offices for rent on this site are situated in convenient locations and are offered on flexible terms, giving you the chance to rent office space for the time period you need. In addition to executive office suites and commercial office space, we also able to help you find coworking and creative work spaces, hot desking, short term offices and virtual office solutions in other cities throughout California. Get in touch and we will do everything we can to help you find the ideal office space.